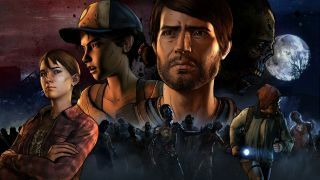 We're used to waiting weeks or sometimes months between Telltale episodes, so here's a bit of good news if you're looking forward to The Walking Dead's upcoming third season. It was revealed this weekend that the first two episodes will be released on the exact same day, on December 20. No more waiting! Unless we're talking about the wait between episodes two and three, and who knows how long that will be. The Walking Dead: A New Frontier wants to reel in new players as well as returning ones, hence the subtitle, and a new protagonist by the name of Javier. He joins Clementine as one of the leads of the five-part series, and if you want to pay for it all in advance you can buy the season pass now on Steam or GOG.